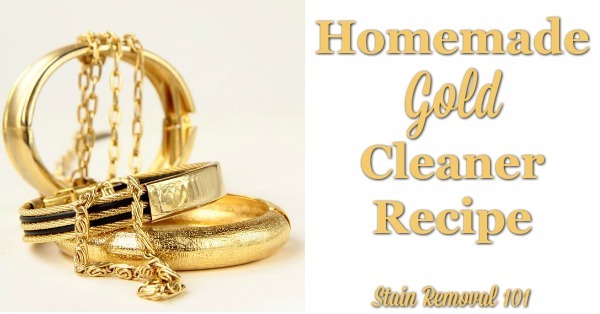 Use this homemade gold cleaner recipe to clean gold items in your home, including jewelry. Gold does not generally tarnish like some other metals do, unless it is not pure gold and is mixed with other metals. In that case it may need cleaning to remove tarnish from these other metals, not the gold itself. 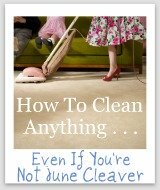 However, that doesn't mean gold, even 24 karat gold, doesn't need to be cleaned. Soak the gold, including gold jewelry, in a solution of mild detergent and water. 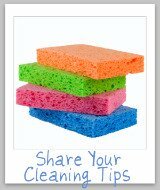 Hint: You can also substitute mild dishwashing liquid if you don't have a mild detergent handy. After a couple minutes of soaking you can rub the gold's surface gently to remove any soil. To get into small crevices or between links within gold jewelry you can use an old toothbrush to gently scrub away debris. Hint: This solution will not harm your gold, but could harm other jewels, such as opals, that are attached to your gold jewelry. Always check how to clean each item before beginning, and use the most conservative method that will harm nothing on the piece of jewelry or other embellishment on the gold item before beginning your cleaning. Also note that no homemade gold cleaner should contain chlorine, such as chlorine bleach, because chlorine, over time, can deteriorate gold. 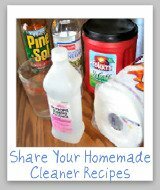 Do You Have A Recipe To Clean Gold To Share? 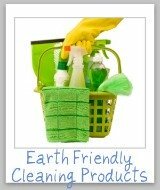 I would love to hear your recipes for cleaning your gold jewelry and other objects. 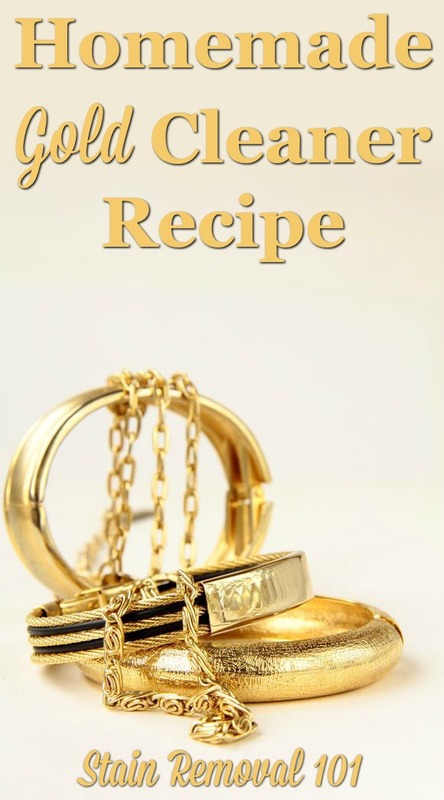 Please share your homemade gold jewelry cleaner recipe here.